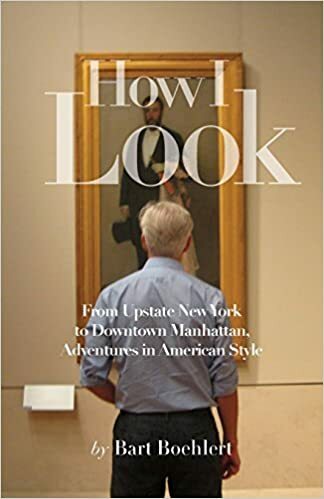 When TD and I were visiting my parents in Guilford, Connecticut, over the weekend, we stopped on Saturday afternoon into an opening reception at the Greene Art Gallery. I knew about it since I am on the gallery's email list, having visited the gallery before and talked with its very affable owner Kathryn Greene. The gallery is in a wonderful barn-like building off the Guilford green. It was opened in 1977 by Kathryn's husband Richard Greene, and closed when he passed away. Now Kathryn has reopened the gallery where she regularly hosts openings and events, and she lives upstairs "over the shop." This reception was in honor of a new show called "Midwinter Beauty." The work of many artists was on display which celebrated New England's hibernating season. Landscapes often depict the vibrancy of spring and summer, but there is something meditative and slow about a still winter scene. Many of the paintings featured water views and captured the evocative mood of the shoreline during the cold months like these by Sean Murtha. while a guitarist played in the corner. A very pleasant Saturday afternoon. I liked this big painting of a barn in the northwest corner of Connecticut by artist Ken Musselman. It looks to me so much like the rolling hills of the Mohawk Valley and Herkimer. Ken Musselman was at the opening with his wife, and he told me that he is a self-educated artist who worked as an illustrator in the Navy. This barn is on a family farm in East Canaan, Connecticut, which runs down to the Blackberry River. A group of snowy paintings by Vincent Elliott were encased in silvery frames which perfectly complemented the subjects. Vincent told me that he makes the frames himself, which involves a complicated process of milling the wood and covering it with silver leaf. His dreamy paintings are created not with a brush but with a palette knife which gives them a sculptural feeling. which reveals this view. Pretty nice. While I was talking to the artists, TD was perusing the exhibit. He came back and said he wanted to buy a painting, this vivid watercolor by artist Jean McQuillan of a bird perched on a snow-covered evergreen branch. Apparently we just missed the artist. I think it will be very pretty in our apartment. Like the rest of the northeast, Guilford suffered an unusually harsh winter and snowfall, but the gallery reception enjoyed a large turn out as residents ventured forth. "Art lifts your spirits and reflects on the best part of who we are," Kathyrn Greene said to me. "People like to come out and be together with art." how nice of you to bring beauty to our harsh winter. As I am a little odd and love the snowy and cold winter, your photos are like balm to my soul. Ella, well you are Swedish! The paintings were very peaceful.